Cheaper when you pay cash. 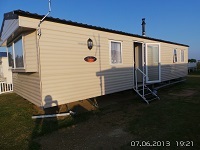 Call Chris on 07816 146 865 or 0800 955 4393 for cash prices and offers. Choose how many lessons to pay for. New Starters Offer Driving lessons from 19.50 per Full Hour. TOTTENHAM, WOOD GREEN, ENFIELD , EDMONTON, WALTHAM CROSS and the surrounding areas. All lessons conducted by fully qualified DSA approved instructors. Instruction by a fully qualified DSA approved driving instructor. Personalised structured Driving lessons that meet your needs. You will be taught quickly but correctly, getting you ready for your Driving test ASAP. Individual Driving tuition . No second learner driver in the car with you during your lesson. Picked up from a location of your choice and dropped off again. Driving Lessons in Enfield. We also provide Driving lessons in Barnet, Broxbourne, Bush Hill Park, Cheshunt, Chingford, Cockfosters, Edmonton, Goffs Oak, Haringey, Hoddesdon, Palmers Green, Ponders End, Southgate, Tottenham, Turnpike Lane, Winchmore Hill, Waltham Abbey, Waltham Cross and Wood Green. We provide Automatic and Manual in TOTTENHAM, WOOD GREEN, ENFIELD , EDMONTON, WALTHAM CROSS and the surrounding areas. If you live or work in TOTTENHAM, WOOD GREEN, ENFIELD , EDMONTONOR WALTHAM CROSS then give us a call and we'll arrange your lessons either from home or work. If you live in TOTTENHAM, WOOD GREEN, ENFIELD , EDMONTON OR WALTHAM CROSS we'll also drop you back home if your lessons started from work. We specialise in test failures so if you have failed your test and live in TOTTENHAM, WOOD GREEN, ENFIELD , EDMONTON, WALTHAM CROSS or the surrounding areas give us a call to arrange an assessment lesson so that we can give you an honest and unbiased opinion as to how you can progress and pass your test. Our instructors are all DSA approved and are all fully qualified with many years' experience in teaching pupils to pass their driving tests in a test center near TOTTENHAM, WOOD GREEN, ENFIELD , EDMONTON, WALTHAM CROSS areas. At Drive-Enfield School of Motoring you will receive 1 to 1 Driving Lessons. 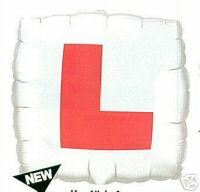 Your Driving Instructor will never have a second learner driver in the car whilst you are on your Driving Lesson. You have a choice of 45, 60, 90 or 120 minute Driving lessons At Drive-Enfield School of Motoring. At Drive-Enfield School of Motoring our Driving Instructors provide manual or automatic Driving lessons at very competent Prices in Edmonton, Wood Green, Tottenham, Enfield and the Surrounding Areas.areas. We are a group of Dedicated Driving Instructors offering Driving Lessons in Edmonton, Wood Green, Tottenham, Enfield and the Surrounding Areas. When you book with Drive-Enfield School of Motoring You will be taught by one of our select Driving Instructors to a very high standard to enable you to have the best chance possible of passing your manual or automatic Driving test. At Drive-Enfield School of Motoring we don't only teach you to be able to pass you Driving test, We teach you to Driving safely for life, which is far more important. Gift Vouchers for Beginner Driving Lessons and also for Passplus Driving Lessons. Our Instructors will pick you up from the Enfield area for your Driving Lesson or any of the surrounding areas and drop you back home when you lesson is finished. At Drive-Enfield School of Motoring we welcome Nervous Learners as our very understanding Driving Instructors will help build your confidence in the quiet streets of Enfield, Edmonton, Wood green, Tottenham getting you ready for your Driving Test. We Can Provide Intensive Driving Lessons, Semi Intensive Driving Lessons, Motorway Driving Lessons, Refresher Driving lessons and UK familiarization Driving Lessons.Gift Vouchers for Beginner Driving Lessons and also for Passplus Driving Lessons. At Drive-Enfield School of Motoring If you need lessons to build your confidence again our select Driving Instructor who will take your Driving Lesson will start inEdmonton, Wood Green, Tottenham, Enfield and the Surrounding Areas. and expand the area as your driving confidence increases. Our dedicated team if Driving Instructors at Drive-Enfield School of Motoring also provide Pass Plus Driving Lessons starting in Enfield and finishing with Motorway training. At Drive-Enfield School of Motoring your Lessons won't just be taken in the area where your Driving Test will be but your Driving Lessons will usually be taken in most of the Enfield and surrounding areas enabling our Driving Instructors to structure your driving lesson to teach you all aspects of manual or automatic Driving. At Drive-Enfield School of Motoring we use these test centers Enfield, Wood green, Wood Green, Chingford, Barnet, BorehamWood and sometimes Loughton and Wanstead too but would consider other Driving test center too. When you book with Drive-Enfield School of Motoring part of our Driving School policy will help you with your theory test. You don't need to have done your theory test before you start your manual or automatic Driving lessons. Your helpful Driving instructor will advise you as to what materials you need use to study for your theory test and as part of your Driving lesson you will be asked certain question by your Driving Instructor regarding you theory test whilst on your Driving Lessons. When you have passed your manual or automatic Driving test we also provide manual or automatic pass plus training from Enfield and the surrounding areas and motorway training. If you qualify you could get 70.00 cash back from Transport for London once you have completed your manual or automatic pass plus course. During you manual or automatic Pass Plus course more time will be spent on motorway Driving as this will normally play a big part in most of our lives. When you have completed your manual or automatic Pass Plus course you will receive a certificate from the DSA as proof of having passed your pass plus course. At Drive-Enfield School of Motoring your Driving Instructor will give you handouts with the current manual or automatic Show me Tell me Question. Before you attempt you manual or automatic Driving test you will be asked 2 show me tell me question out of a bank of 21 show me tell me question. Our Instructors will go through these question during your Driving lessons so that you will be fully competent and be able to answer the questions ask before your manual or automatic Driving test. At Drive-Enfield School of Motoring we believe in giving value for money. Cheap isn't always best. Our prices are very competitive and when you book with Drive-Enfield School of Motoring we will endeavor to give you your monies worth. Cheap isn't always best, remember that. At Drive-Enfield School of Motoring even if you have passed you Driving test we can still provide booster and Motorway Courses.